Try dissection on the virtual frog! No hassel with the dead animal. Meet our future- friendly solution! Looking for an efficient training curriculum for your warehouse? Here is an OSHA compliant trainer for you. Non-traditional, tool-based modeling for rapid design and prototype. Try our easy and flexible Clay modeler. Coming up is the Virtual Cadaver Lab (VCL)! A digital cadaver dissector for the next generation. Welcome to Tactus Technologies. We are a dynamic software company that specializes in Virtual Reality applications. Tactus is built on a foundation of talent, innovation, and ingenuity and promises to revolutionize the current state-of-the-art in Virtual Environment development. Since its foundation, Tactus has been a pioneer in Virtual Reality solutions and has developed the next generation of physics based software libraries that allow for real-time interaction, simulation, and visualization. Our vision has enabled Tactus to become a world-renowned V.R. Company by exceeding industry standards through innovation and team member excellence. 3D-Forklift: Virtual Reality Training Program Created for Forklift Operators. 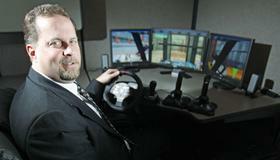 3D-Forklift: First-of-its-kind forklift simulator could reduce injuries, deaths. Tactus received new federal dollars to continue its work on an iPad app for cadaver dissection. 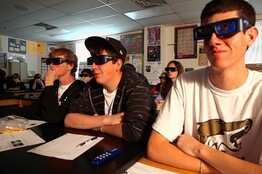 Tactus Technologies is featured in The Wall Street Journal article titled "Coming Soon To Schools: Dissecting Frogs in 3-D.
Tactus Receives 2011 Innovation Award: Since its foundation, Tactus has been a pioneer in Virtual Reality Solutions, Simulations for Education and Training (June 2011). Virtual Frog, Slided: Some schools are getting rid of dissection entirely and not replacing it with multimedia but it’s because they don’t know we exist, that this type of software is available (June 2011).